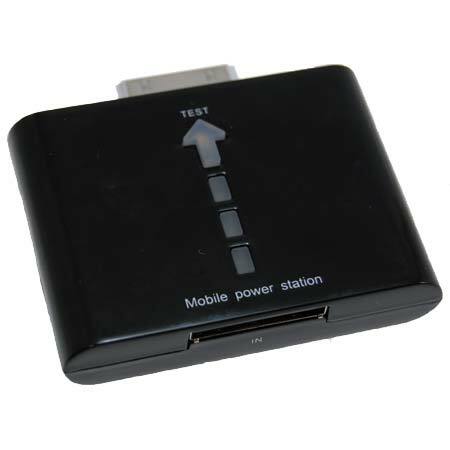 Get extended battery life for your iPhone iPhone 4S / 4 / 3S /3 with this instant power charger. This is such a great little gadget. Small and convenient and charges your iphone or ipod up in just a few minutes. I carry mine about with me all the time, we have 4 in the family! Especially useful as my iphone battery gets older. GET ONE! I havn't even started charging my phone with it and I will already say it is exactly what I wished for. Takes 2. 5 hours to charge the power station so surely it would give the iphone at least double that of charge when being used. It also looks fantastic when connected to the phone, a must buy at any price. Instant power whenever you need it! Plug the Power Station directly into your iPhone for instant power without the need for cables, perfect to help you get through a busy day. The iPhone mobile power station can also be charged using your iPod/iPhone mains charger as it has a standard Apple dock connection. You can also keep an eye on battery status with the built-in LED.